I hope everyone had a wonderful Sunday. My family and I celebrated the resurrection of our Lord Jesus Christ by attending church and making dinner. Celebrating today is important to us for a number of reasons. Not only do we love (and very grateful) that our Lord died for us and rose from his grave, but also, today represents a new beginning and hope. All of my wrongdoings are in the past and now it is time to face the future with a positive perspective. If God can forgive me, if Jesus can die for me, then I must take the gift of salvation and use it to spread love and hope. During this season in my life, I have learned that mental illness is a lifelong battle. There are a number of resources available to help people with mental illness, but it all boils down to the individual person and the mental illness that they are struggling with. Mental illness is misunderstood and we (the mentally ill) have to understand that our condition is forever changing and there are NO “right answers”, just answers that work for us and our loved ones. Sometimes I feel discouraged when my loved ones don’t seem to understand or when they prefer to pour their endless judgments or harsh suggestions into my ear, but then I remember, this is my battle, no one else’s. And I have to do what is best for me so I can do what is best for my family. 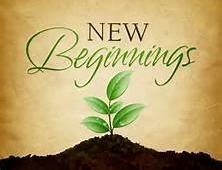 So today marks a new day of me taking advantage of this new beginning of hope. I’ll be honest. In the past couple of weeks, I’ve almost given a few times, but then I know I wouldn’t be able to live with myself if I did that. That being said, I would like to continue to offer hope the best way I know…my blog. Instead of giving up, I would like to share with you tips that I have adopted that helped me through my recent dark moment of disparity. If you are going through it, I pray this list helps you as well. If you were triggered by someone, put some distance between you and the person that triggered you (if possible). Don’t allow your setback to become permanent. Thank you guys so much for reading my thoughts. Remember, today is a new beginning. If you are reading this, that means God has a plan for your life. More than you ever thought could happen. Stay faithful and stay blessed. I love each and every one of you. God bless you all. Thinking of you and praying for you, Ashley! Technically my illness isn’t considered a mental illness (It’s a thyroid disease) but I definitely have those times when a stressful situation triggers anxiety and depression (something to do with the adrenals not working correctly or something) I’ve had to learn a lot of the same things as you’ve listed. What I struggle with the most is feeling insecure during and after one of these stressful events, wanting to isolate myself because I’m either insecure or afraid I’ll say the wrong thing, and family not really understanding what you are going through no matter how many times you try to explain it. I get why they don’t understand, but it’s definitely difficult. Mostly I hate how insecure I feel and the isolation. That tends to set me back some… just when I think I am coming out of my shell I want to crawl back into it which I KNOW will not do me any good. I hope your Easter was blessed and joyful! It was! Thank you very much. I pray you had a wonderful Easter as well.